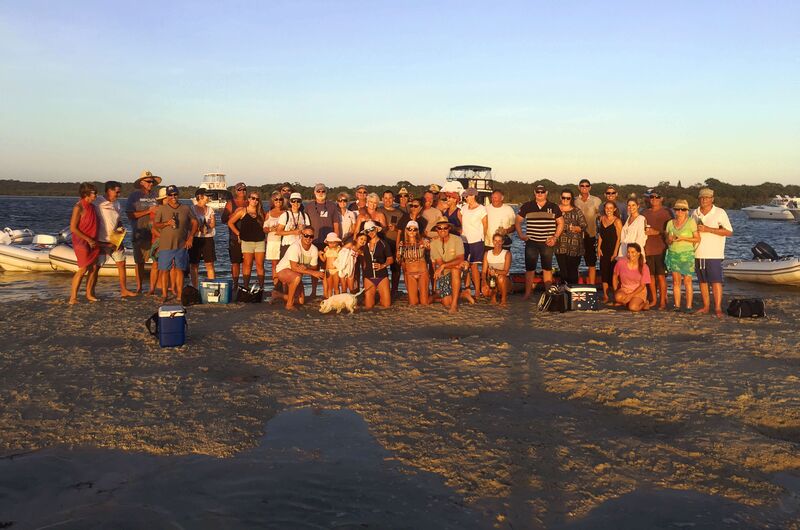 Riviera owners explored new waters at this year's Kooringal Experience, hosted by R Marine Jones. 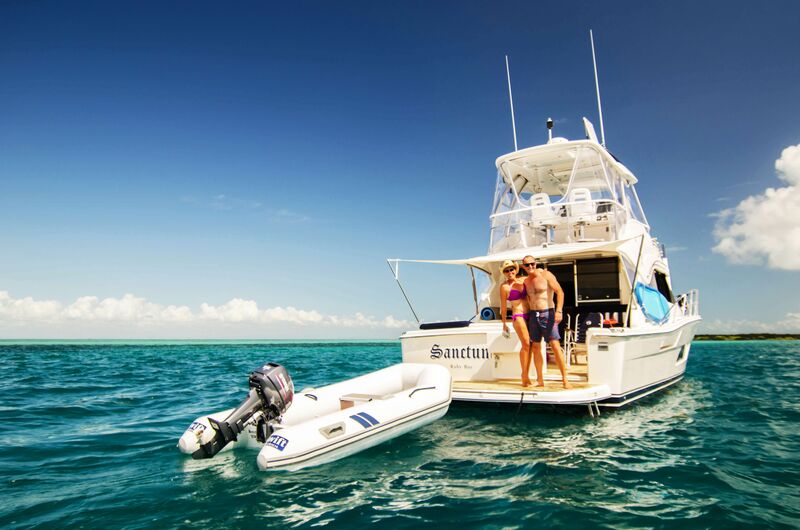 With the intention of helping Riviera and Belize owners make good use of their boats, every year dealership R Marine Jones organises a number of trips to take owners outside their usual cruising grounds. 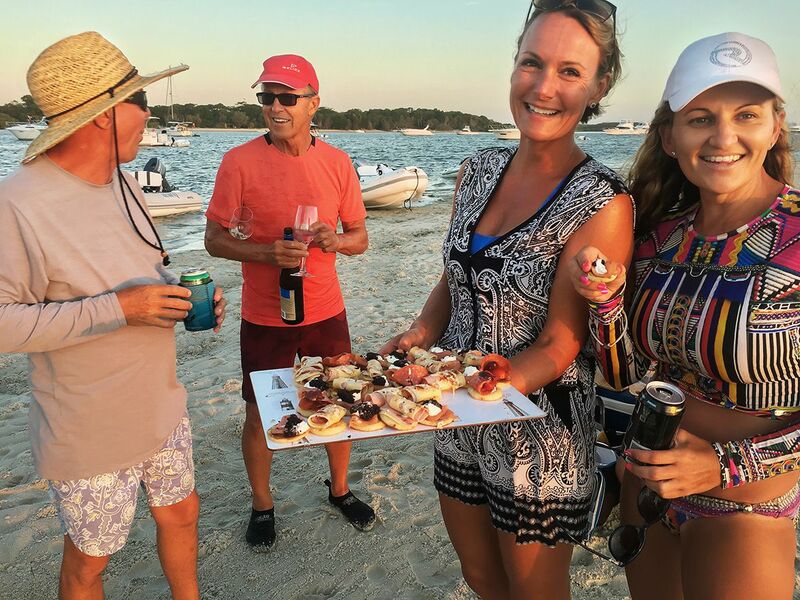 The 2017 Kooringal Experience featured 32 Riviera and Belize luxury motor yachts and almost 90 people. 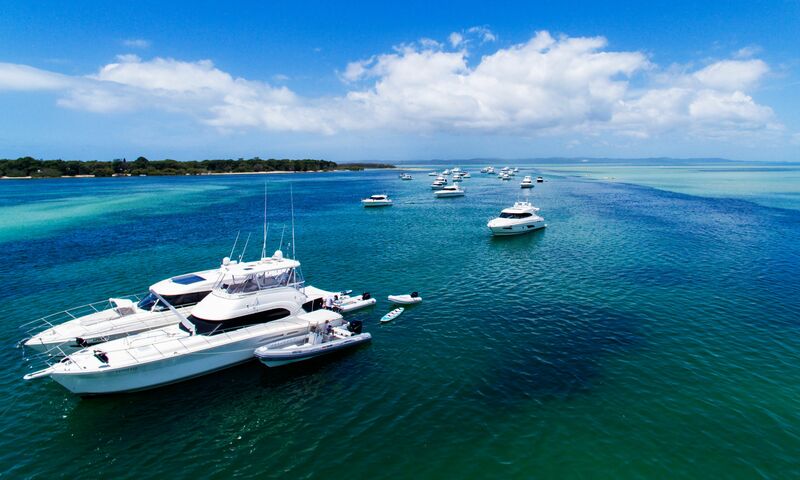 Randall Jones, owner of R Marine Jones, led the fleet in his 51 Open Flybridge Riv through the delta-like network of inland waterways that connect the Gold Coast with Moreton Bay. The fleet grew as it headed north, with boats joining from Calypso Bay, Lower Moreton Bay and Brisbane. “Boat owners in this area often prefer to stick to the protected waters of Moreton Bay and Gold Coast waterways. Even though they have these beautiful boats, sometimes they lack the confidence to go further afield than their current level,” says R Marine Jones’ Marketing Manager, James Dumergue. 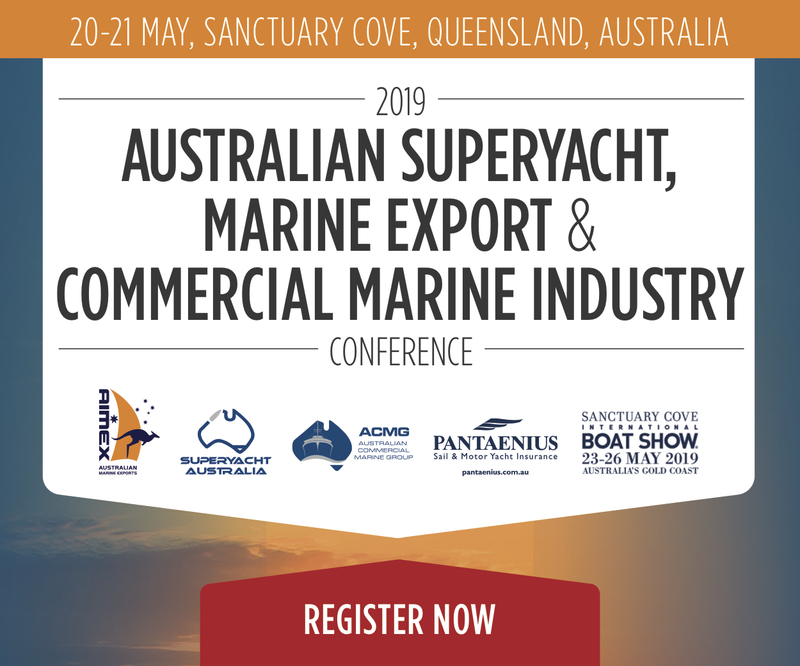 “So we create guided, social supported trips to build the knowledge and confidence of our owners.” Fun with old friends, making new friends, discovering new anchorages and exploring new destinations is what attracts boat owners to the cruising events. “Making new passages can be a foreboding experience. The Kooringal, located at the southern end of Moreton Island, is not recommended unless you are an experienced boat-owner,” continued James. Good food and heaps of fun were the order of every day. The waters of Moreton Bay welcomed the Riv and Belize owners. Owners met new friends in the Riv family and learned new skills. Each year, R Marine Jones hosts several such events for owners to expand their skills and add to their boating enjoyment. The shifting sands bars make it impossible to have a permanent channel all the way in. So Riv 1 led the way dropping temporary colour-coded channel markers to guide the fleet of 31 Rivieras and a Belize motor yacht into anchorage at Days Gutter on the banks of the Kooringal. “It’s probably the best Experience cruising event I’ve ever been on and I’ve been on quite a few,” said third-time Riviera owner Gavin Eales said of the three-day event. 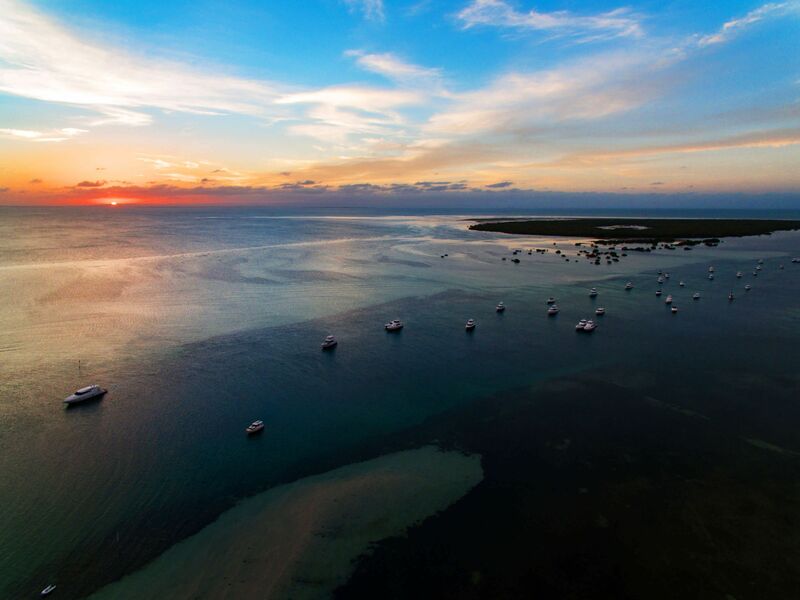 “Not too many people would attempt to navigate some of the channels without local knowledge, even at high tide,” said Cliff Evans, who owns the 43 Open Flybridge Sanctum with his wife, Lisa. “Ken Smith, who with wife Laureen owns the 38 Open Flybridge Lunchalot, is relatively new to the Riviera Family and said there was nothing quite like learning about boating in the company of like-minded people. R Marine Jones is this year is evolving its Experience cruising event and there is very strong interest in the series of four to five passages to and from Queensland’s Whitsundays over a period of three months between June and September 2017. “This year we will introduce a range of partnerships and activities, like scuba diving training, scenic flights and golf days, that will enhance the time our owners spend in this beautiful part of the world,” said Randall Jones.